General Description: Silver Creek Plunge​ boasts a large outdoor hot springs pool. The Plunge is ​located along Silver Creek within the beautiful Boise National Forest in Peace Valley of the state of Idaho. 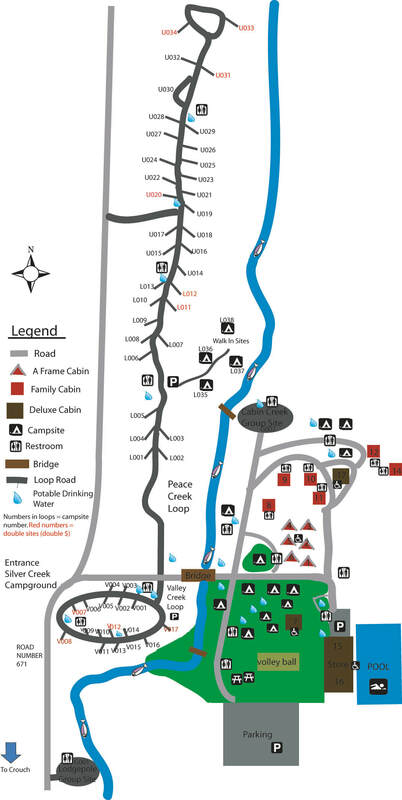 Accommodations are available that ​includes RV camping, tent camping, and cabins. Location: From Boise, Idaho is 75 miles or about 2 hours and 15 minutes to drive to the the hot springs. 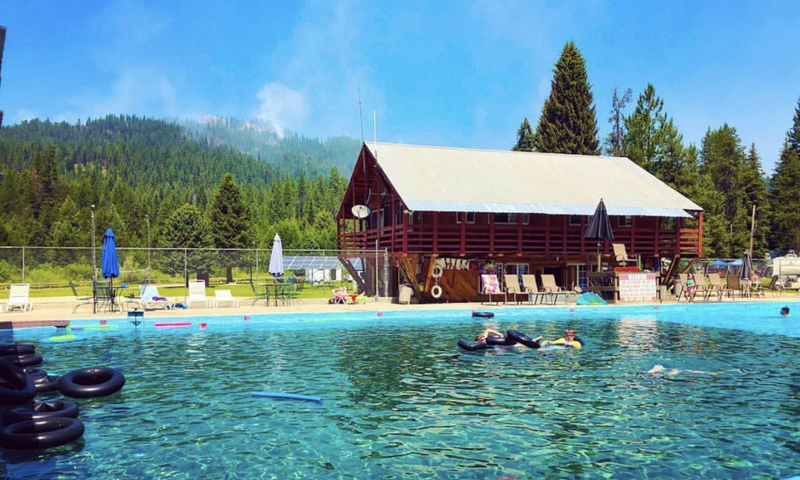 Accessibility: Silver Creek Plunge​ ​​is very accessible. You can drive up to the property. About 8 miles out of Crouch, the paved road ends as it enters the Boise National Forest. The hot springs are a short and easy walk from the property. This hot springs has limited handicap accessibility. Hot Springs: ​Silver Creek Plunge water flows through the pool at a rate of 540 gallons per minute. The geothermal water enters the pool at 100 degrees and exits the pool at about 97 degrees. The hot springs pool holds 180,000 gallons of water. This type of pool is known as a "skim pool." The mineral water flows in one side of the pool and out the other, changing the entire volume of water in about 6 hours. The mineral water is treated with chlorine. The mineral water is not pure. The pool is closed and drained each week. Clothing is required. Bring your bathing suits. playground, hiking, motorcycle & ATV trails, and stream fishing( the stream is stocked every two weeks during the summer.) This hot springs has a Convenience Store and a snack bar. Youtube Video on Silver Creek Plunge is below.